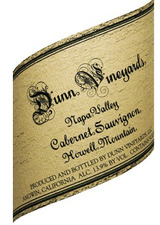 This wine has a deep garnet rim with a dark burgundy-hued core. A nose of sweet vanilla, cigar and blackberry carries over onto the soft, voluptuous palate. Ripe fruit flavors are accented with notes of licorice, graphic slate and unsweetened chocolate powder, while hints of dark roasted coffee show up on the very edges of the tongue. The 2014 Proprietary Red is a blend of 87% Cabernet Sauvignon, 4% Cabernet Franc, 4% Petit Verdot, 3% Malbec and 2% Merlot. This is a wine that has unbelievable aging potential as I have some old vintages from 1995 and 1996 in my cellar that are still aging beautifully. The gorgeous 2014 is certainly one of the stars of the vintage. The wine shows charcoal, graphite, background toasty oak, plenty of black fruit, a full body, measured tannins and a long finish. This is a serious, classic Napa Bordeaux blend that will need two to three years of cellaring and will drink well for 20 or 30 years. This could prove to be one of the longer-lived of the 2014s.